﻿ Queen Helene Apricot Natural Facial Scrub Review: Does It Really Work? Queen Helene Apricot Facial Scrub is marketed as a refining exfoliating scrub that removes pore-clogging impurities to improve the skin’s texture and tone. Antioxidants are also infused into the skin to improve the look of your complexion overall. Queen Helene Apricot Facial Scrub is an extremely affordable exfoliating scrub that uses a blend of natural ingredients to lift away pore-clogging impurities to reveal brighter, smoother, softer skin with each use. For best results, gently apply Queen Helene Apricot Facial Scrub to your wet face in small, circular motions. Be sure to avoid the delicate eye area, as this product may cause dryness and irritation. 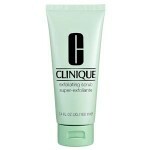 Once the product has been applied to the entire face, rinse away with warm water. Be sure to follow up with your preferred skincare treatments, such as toners, moisturizers, and an SPF of at least 30 during the day. 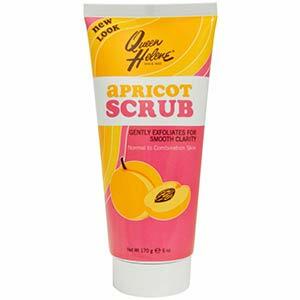 Queen Helene Apricot Facial Scrub retails for $4.82 per 6.0 fl. oz. 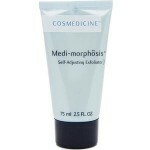 of product on several well known drugstore retailer sites. Walnut Shell Powder: This ingredient acts as a natural exfoliant to lift away dead, dull skin. Apricot Oil: This ingredient is meant to provide the skin with antioxidant and toning benefits. This exfoliating scrub is very affordable. 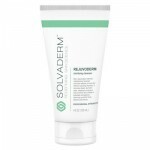 This product uses natural, physical ingredients to sweep away dead, dull skin. 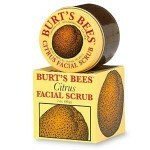 This scrub has a pleasant, invigorating scent. This product contains fragrant ingredients, which may cause irritation for those with sensitive skin. Customers claim this product is too coarse and harsh. This scrub uses walnut shell powder, which may be too abrasive for those with sensitive skin. Queen Helene Apricot Facial Scrub claims that it can sweep away pore-clogging impurities to reveal smoother, brighter looking skin with continued use. Although this product may sound like the daily exfoliant you’ve been looking for, there are several issues you should consider. The packaging leads you to believe that the exfoliating properties of this formulation come from apricots, this is simply untrue. Most of the exfoliation is actually coming from walnut shells, however, there’s no indication on the front of the packaging to relay this information. Walnut shell powder does not have a smooth surface and may be too abrasive for those with sensitive or acne-prone skin. Additionally, this product contains fragrance, which some customers claim is too strong and rather unpleasant. Fragrance is also problematic for those with sensitive skin, particularly when it’s paired with abrasive, exfoliating ingredients such as walnut shells. We’d recommend continuing your search for an exfoliating scrub that uses gentle means to sweep away dirt and other pore-clogging impurities. Queen Helene Apricot Facial Scrub is available at several very well known drugstore retailer websites. These sites have quite reasonable return policies. If, for any reason, you’re unhappy with your product, simply return it within 30 days for a full refund. Be sure to include proof of purchase with your return.